Starting as a social media intern and progressing to a tailor, Summer Lahti is following her passion. Lahti works as a tailor for Stitched Up, a tailoring company that was established in 2008 in Brooklyn, New York. “All the tailors are awesome and are skilled in their own area. Stitched Up is located in LA, NYC, and our flagship store is in Menomonie,” said Lahti. Menomonie’s location sells vintage clothing and they specialize in denim, bridal and men’s suits. 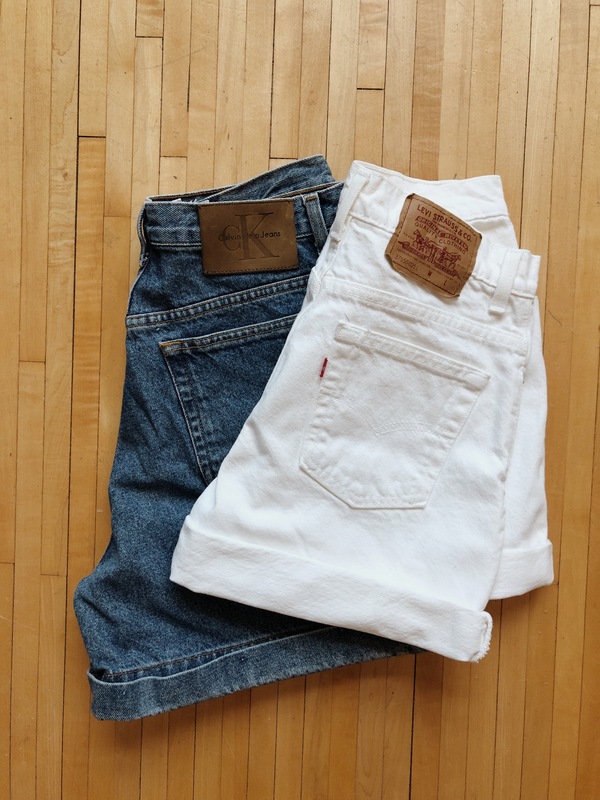 Stitched Up is the sister company to 7th Bone Tailoring, and both companies are owned by University of Wisconsin-Stout alumni Erin Hogan-Braker. 7th Bone Tailoring is for celebrities and commercial clients, while Stitched Up is for the everyday person. “Erin is a major mentor in my life and she has taught me a lot about sewing as well as simple life lessons that have allowed her with work with such impressive people. Erin is competitive, but also one of the organized and efficient people I have ever met,” said Lahti. Hogan-Braker graduated from UW-Stout from the apparel program and from there, she moved to New York City and trained with master tailors and pattern makers. Lahti has always been into fashion growing up, and it wasn’t until her senior year of high school that she realized she could make her own clothes if she learned to sew. “I approached my home-education teacher in high school and told her I wanted to know everything about sewing,” said Lahti. She spent her lunch hours with her and even went to her house after school to get lessons. “I had found my passion and I couldn’t stop. She [my teacher] really opened the door to sewing for me and I will always hold a special place in my heart for her,” Lahti said. Lahti started at Menomonie’s location of Stitched up and 7th Bone Tailoring as a social media intern, and handled emails and social media posts. Now, she works mainly as a tailor and specializes in denim. “I also merchandise our store and make sure we have plenty of vintage. My favorite thing to do at Stitched Up is to take clothes that people wouldn’t normally buy and revamp them into the hottest item in the store,” said Lahti. She is also working on Stitched Up’s website this summer to start up their online store. Lahti is set to graduate in May of 2020, making her a fifth-year senior and she plans on finishing her last year of college at CUNY (City University of New York) Queens in New York through UW-Stout’s National Student Exchange. From there, she is going to finish her professional communications and emerging media degree. While in New York, she plans on staying with Stiched Up at their Brooklyn location. “I hope to stay in New York and continue to keep learning the craft of sewing and ultimately work alongside the 7th Bone team for commercial and celebrity clients,” she said.